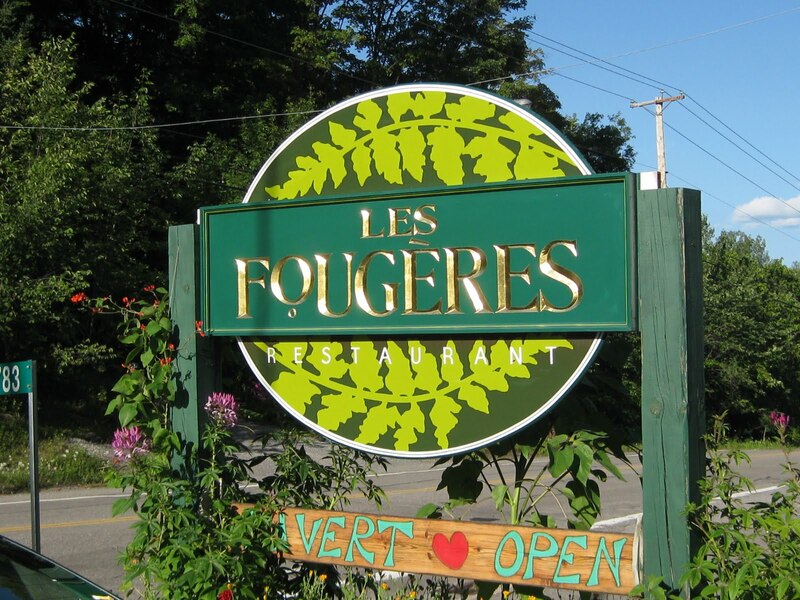 Restaurant Les Fougères is tucked away in the idyllic rural setting of the Gatineau Hills, outside of Chelsea, Quebec at 783 on autoroute 105, just a short drive from downtown Ottawa. Attached to the restaurant is also their food focused store, where they offer take-home cuisine, specialty food items and home decor treasures. 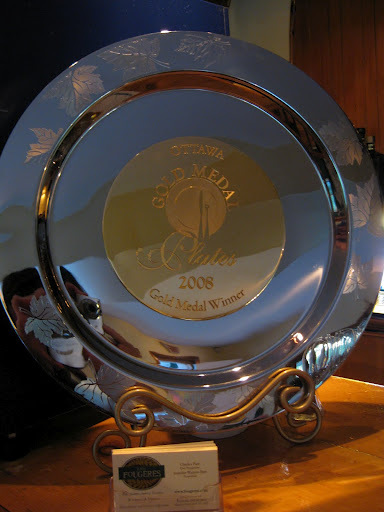 Chef and proprietor, Charles Part, placed first in the prestigious Gold Medal Plates regional competition in Ottawa-Gatineau in 2008. This is just one of the many awards they have earned over the years for food, wine and service. 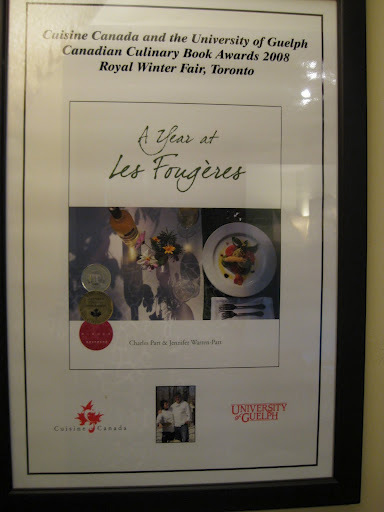 They too have an award winning cookbook, A Year at Les Fougères. A project Charles Part undertook in collaboration with his wife and co-owner of the restaurant, Jennifer Warren-Part. Last night ended up being our private celebration of our upcoming anniversary. As we came to look at the calendar yesterday, it was clear that a night to ourselves may not happen for some time to come. Better a bit early than a bit late and so we seized the day. The menu is not for the indecisive. All their descriptions are mouth-watering. We both couldn’t resist their August table d’hôte. The occasion called out to us to go with their wine pairings as well. It has been a long time since I tackled a table d’hôte and maybe even longer doing wine pairings with a meal. I have to say I was close to giddy, suspecting that we were about to be really, really spoiled. 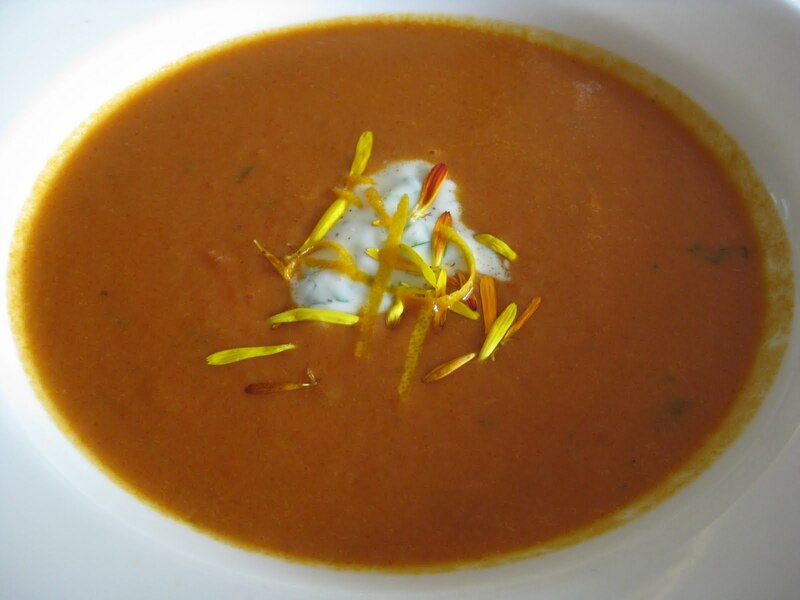 We started with the soup of the day, which was a Thai curry soup with crème fraîche, cilantro and decorated with flower petals. The wine paired with the soup was a Gewurztraminer Cuvée Bacchus 2008 Alsace Pfaffenheim. 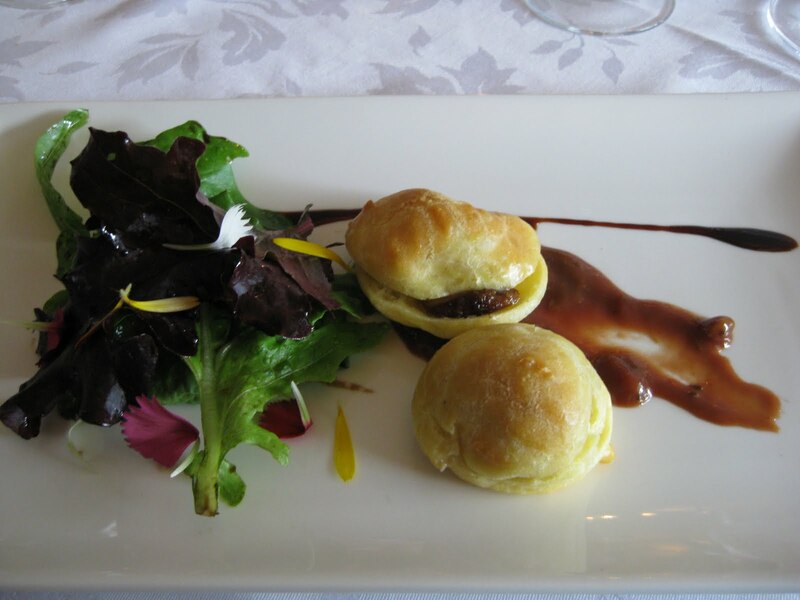 The second course was Quebec foie gras mousse served in a gougère with a gooseberry, red onion and fresh lemon thyme compote. The wine paired with this dish was a La Cuvée des Laurentides, Vignoble Rivière du Chêne. Our main course was lamb shoulder slow-cooked in confit, accompanied with homemade lamb and lavender sausage served on a height of summer ratatouille, new potatoes crushed with mint, sorrel and Papineauville Camembert style goat cheese. The wine paired with the lamb dish was a Cabernet Merlot 2007 Okanagan Valley, Mission Hill. 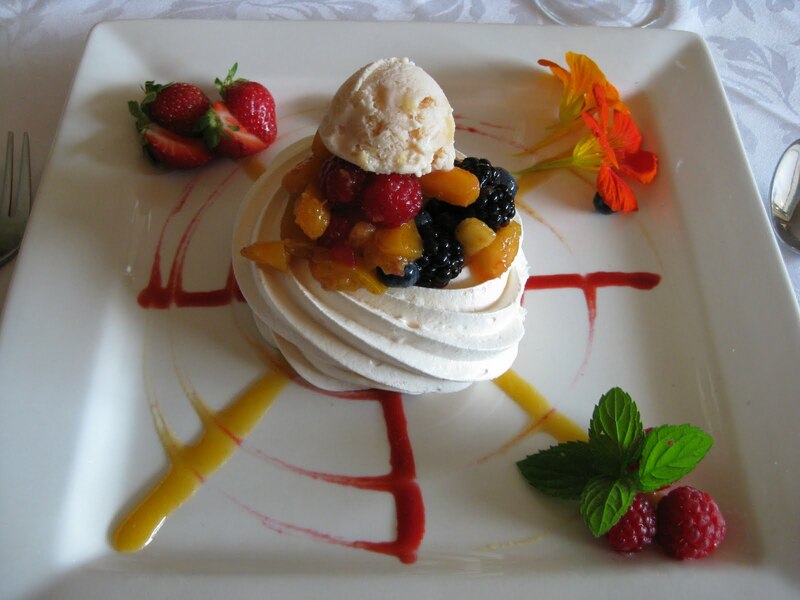 Our dessert was a fruit pavlova with homemade peach ice cream. The wine paired with the dessert was a Moscato d’Asti Nivole 2008, Michele Chiarlo. 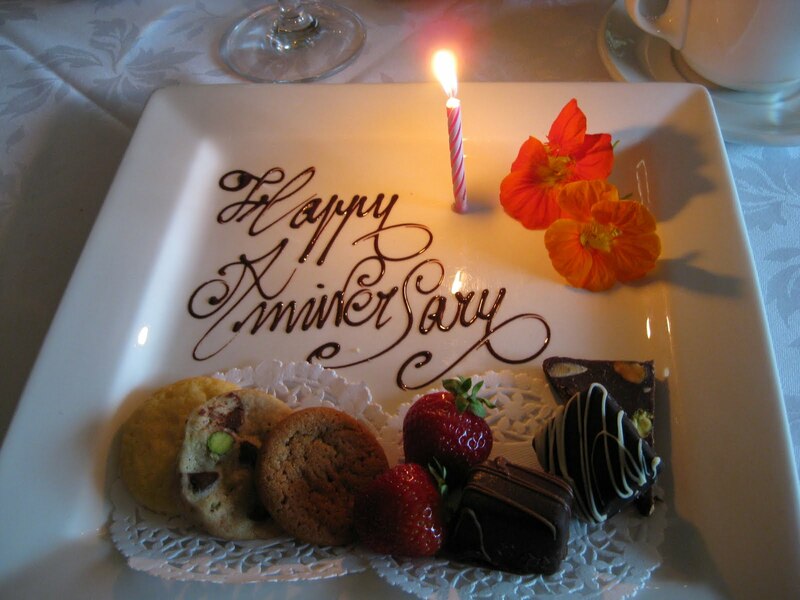 And as we were enjoying our great cups of coffee, out came a beautiful celebration plate of mignardises. Well, it is pretty clear that everything looked fantastic. But how did it taste? Where do I start? We were eating seasonal, regional produce. That was a great place to start! The table d’hôte was well balanced. It stood out more on flavours than richness. That is a big help when doing so many courses. The soup was just too salty though. I don’t know if it was the actual body of the soup or a heavy hand at garnishing it before it left the kitchen, but it was noticeable. It didn’t stop me though. The great taste of the soup was still there to enjoy. Not too spicy either. Although our waiter told us that it had coconut milk in it, it wasn’t pronounced. A bit of a surprise since I was anticipating it. The foie gras mousse served in a gougère was under portioned. I could barely taste the mousse. We both thought there should have been a bit more of the foie gras taste. The compote was perfect. There is nothing to say about the lamb dish except that it was perfect. The shoulder was so tender and flavourful. It was probably the highlight of the night. The fruit in the pavlova dessert was fresh and the strawberries were a stand out. So, so sweet. We loved every morsel of the plate of mignardises. The wine pairing was bang on. What a treat for us to just sit back and relax and enjoy the expertise of others. Sometimes a wine list can be intimidating. Particularly when heading for a multi-course meal. My most favourite match was the Moscato with the dessert. The slight effervescence tickled the fruit. We were served small, salted dinner rolls to start. It came with olive oil and butter balls. They were fresh and chewy. (The buns, not the balls of butter.) We acted responsibility and stopped at two of the small nuggets. Although enjoyable and effective at taking the high hunger off, this meal was not going to be about the buns. The decor is comfortable and well kept. There is no glitz and glamour. The warmth of the pine is what you would expect in a country setting. The cloth napkins are held tight with quaint, bent, silver spoon napkin rings. This is the kind of place that can look after an event of any style, from casual to formal. I would be re-missed if I didn’t comment on the service. Our waiter was so attentive and knowledgeable. He knew his food and his wine. He watched us well from afar and made sure the timing for the dishes was well spaced. His team looked after the water, bun supply and delivering the food. One observation I would make and it seems to happen a lot when eating out, is that we were offered freshly ground black pepper on our lamb as soon as it was brought to us. For me, I have to taste a dish before I consider additional seasoning so I took a pass. I thought we had great value for the money. 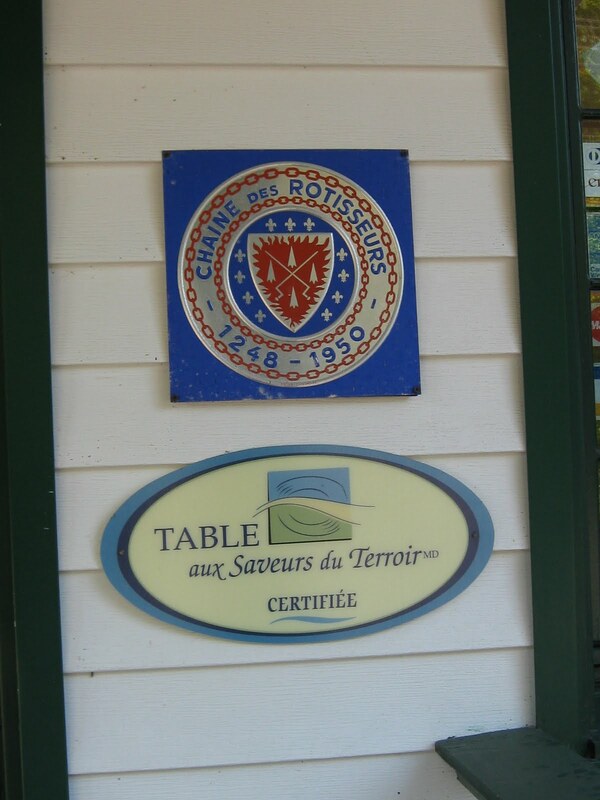 The table d’hôte was $45 per person. If you did the wine pairing, the price went to $75. Last night’s dinner was a last minute idea to solve our need to celebrate. We were lucky to get in on short notice. Once we entered their front door though, the luck ended and the critically acclaimed talent began. 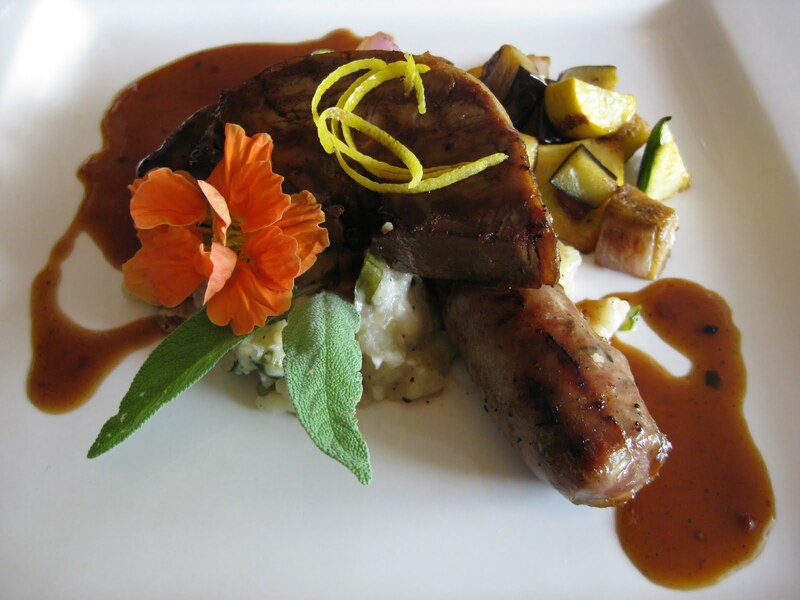 Restaurant Les Fougères knows how to deliver a great food and wine experience and it is worth every bit of the drive to go there. I found an Ottawa Citizen review from October 27, 1999 that said, “This Chelsea restaurant isn’t one you drop into. It’s one you save for a treat.” I couldn’t disagree more. Good food is something we deserve every day. 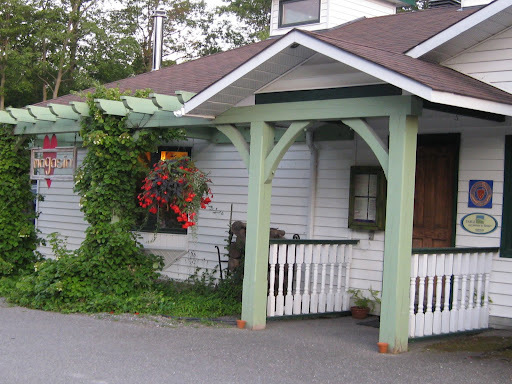 Have you been considering Restaurant Les Fougères? Do not hesitate about going. Any time at all. Get it on your Bucket List. 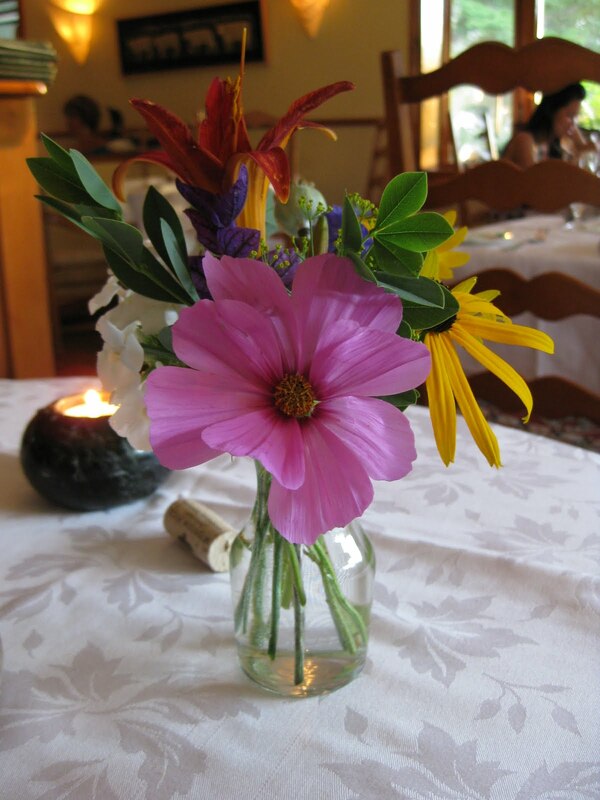 It is one of our finest restaurants in the region.